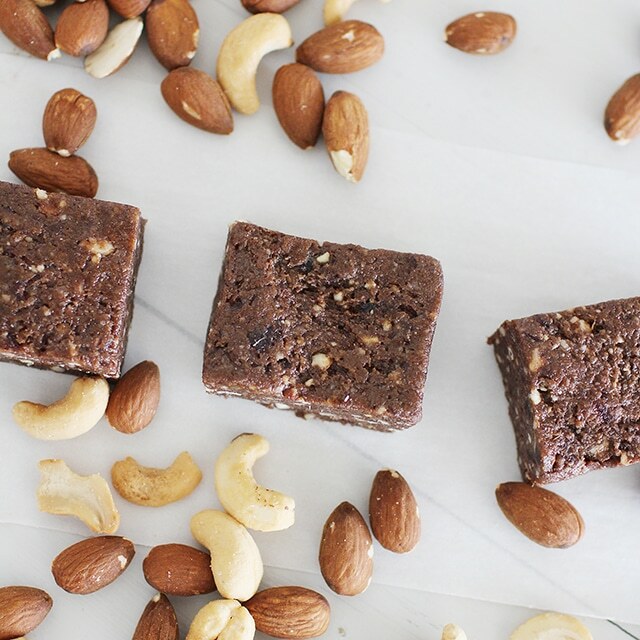 If you love the high protein Rx Bars, but hate the price, we’re making our own! 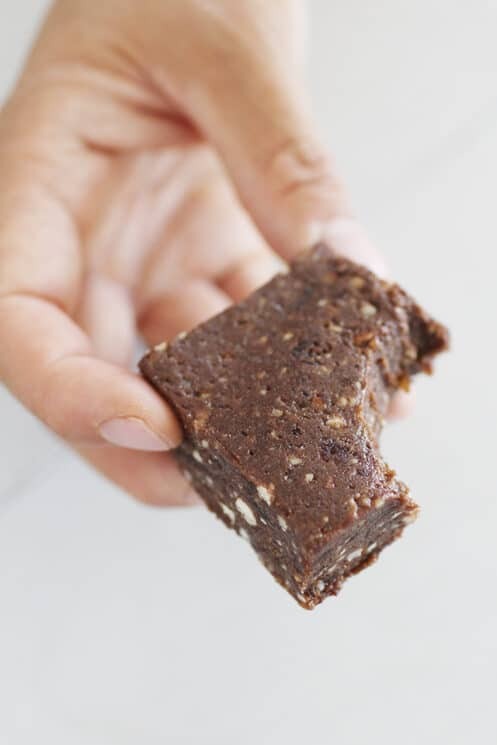 Our family goes through phases when I purchase protein bars for the kids or I to take on the go or for a healthy snack. But then I grow tired of paying the outrageous prices, and the kids decide to eat the entire box within a few days of buying them, so I go back to the less expensive snack, granola bars. Having two teenagers at home can get expensive as it is, so no matter how much I want them to eat more protein during the school day or at practice, I also realize they get plenty of protein from other sources. When Rx bars came on the scene though, I got really excited. I thought they tasted great, and the kids liked them too! The ingredients were simple, natural, and something I felt good about giving my kids. Unfortunately, these were even more expensive than the protein bars I had sporadically been purchasing. Not just a little more, but often DOUBLE the price! I did notice however, that they used powdered egg whites for the protein, which I’ve actually had in my food storage forever! I had never considered using the powdered egg whites in baking until these Rx bars came on the scene. Suddenly, I knew exactly how I’d use that package of egg whites I’ve been holding on to! Egg white powder has been available for retail purchasing for decades. It’s simply real egg whites, dried in an air chamber and ground into a powder. They have been pasteurized so it’s safe for cooking and no-bake things like meringue powder. It can be stored safely at room temperature and reconstituted for meals like scrambled eggs. What is egg white powder used for? I included a link to some egg white powder at the bottom, but there are many companies selling the same thing. 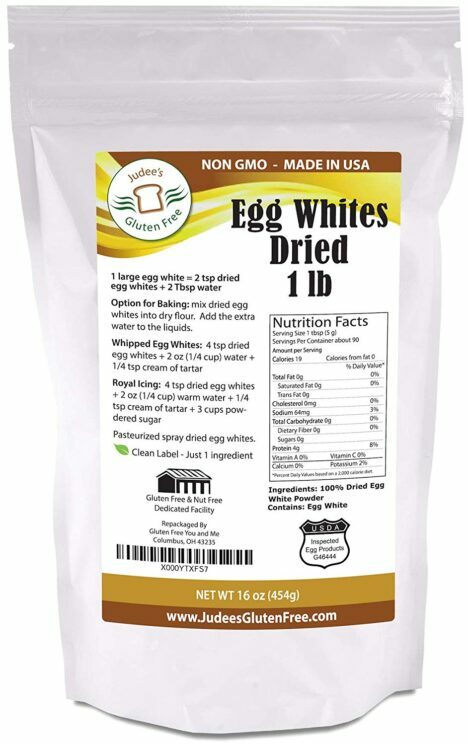 Just check that the ingredient simply shows: 100% egg whites, and any package will do. Onto our recipe using egg white powder…. Literally using the package itself, we created our own Rx Bars. The chocolate ones! (There are many flavors, but starting with chocolate felt like it would be most successful for our first try). I think these bars turned out are perfect! And more importantly, my kids did too! The powdered egg whites gives us the boost in protein. 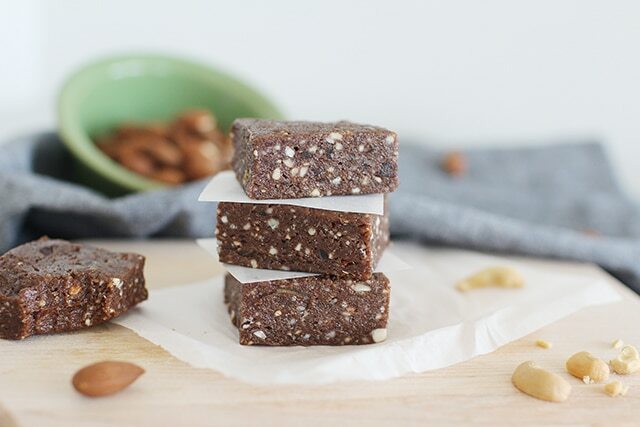 The nuts give us a great supply of fats and fiber. The chocolate gives it that perfect flavor. 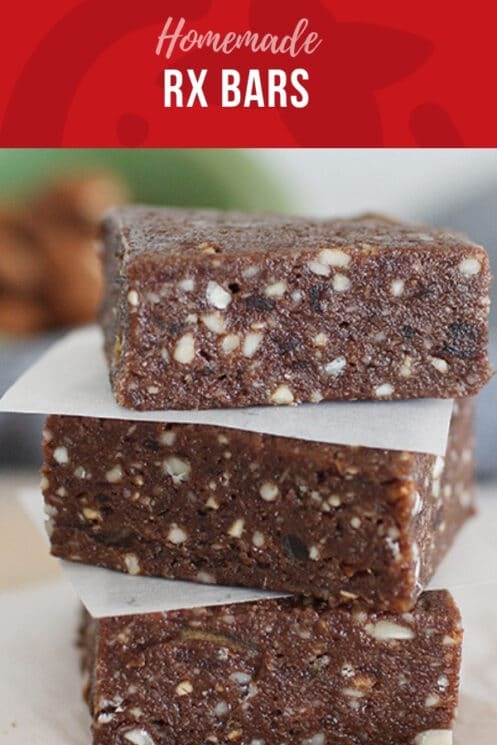 So, if you are like me and want a natural version of a protein bar for your kids, give these ones a try! You won’t be disappointed! If you want more ideas for protein sources for kids,check out these articles! Line an 11×7-inch baking dish with parchment paper. Add nuts to a food processor. Blend until they resemble a crumb consistency. Add egg white and cocoa powder and process for 30 seconds, scraping sides if needed. Quarter dates and add to mixture. Process 1-2 minutes or until you have reached a sticky consistency. Press mixture into prepared dish. Sprinkle with salt and gently push into mixture. Pull out of baking dish by lifting parchment. Cut into 20 bars. Add to an airtight container, placing parchment between layers to avoid sticking together. Hello! Can you substitute egg whites for the powder? If so how many? I don’t think that would work Eliza. You can find egg white powder usually in the baking aisle. Is there anything you can use in place of the dates? I haven’t tried any substitutions for these bars yet. If you do, let us know how it goes! Could I add protein powder to this recipe? You could try! Let me know how it turns out! Hello. I must tell that this food is really awesome. I love it and my family give much good compliment about the recipe. Thank you. What type of blender/ food processor do you use? Ours isn’t big enough or strong enough. We love our Cuisinart food processor – definitely large enough and makes this recipe very easily. Good luck! Can’t wait to try these! 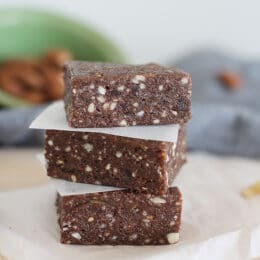 It’s very similar to the energy bites I make and I’m always looking for ways to add more nutritional value. I have never or thought to use egg white powder before. Hopefully can find some locally to give this a try ? Yes, Katrina! They will need to thaw fully before serving. I was wondering how long these last in the fridge? Just made these for the first time. They are amazing. I sprinkled some coconut flakes on top of them and added 2 chipits per bar. These are great! Will redo them often for sure. So glad to hear this, Stephanie! Thanks for sharing. Hi, these came out great! I subbed the egg white powder with PB Fit peanut butter powder. It came out great! Also drizzled about 2 tsp Maple syrup on top 🙂 thank you for this recipe! Awesome, thanks for sharing Jennifer!